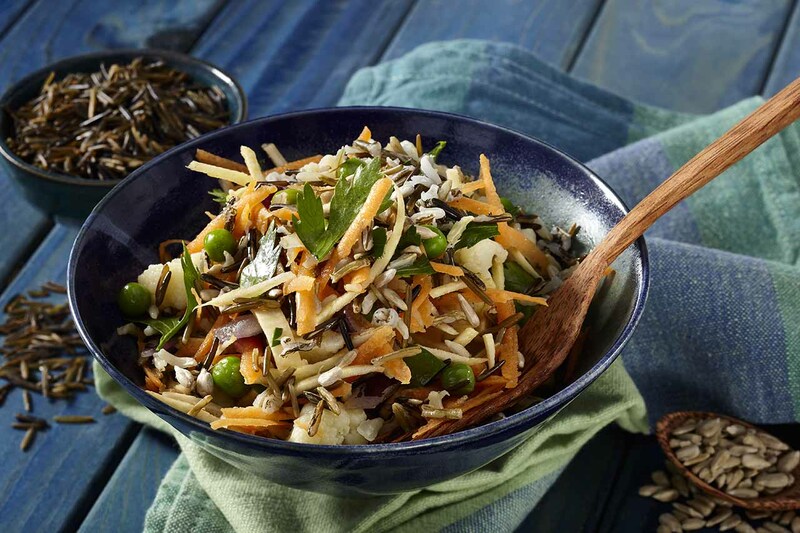 Other rices are just an imitation of wild rice which is high in protein, low in fat and full of flavour. Hence the reason why we use it in our Wild Rice Salad. We also used brown basmati, which combines the healthiness of wholegrain and the sweet fragrance of basmati. In effect, mixed with other nutritious vegetables, this is a healthy and hearty salad that everyone will enjoy! 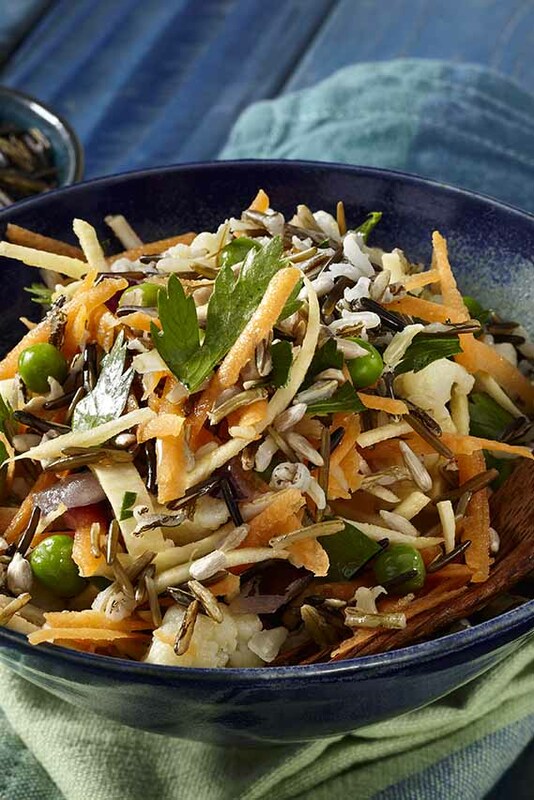 Organic basmati rice 20%, organic wild rice 8%, carrots, parsnips, cauliflower, red onions, peas, parsley, sunflower seeds, olive oil, organic lemon juice, sea salt and black pepper.